I’ve got to tell you, 2015 is the toughest race yet for the Mystery Writers of America Edgar Award for Best Novel. So far I’ve reviewed two books by well-known and well-loved authors of the police procedural, the UK’s Ian Rankin and USA’s Karin Slaughter. 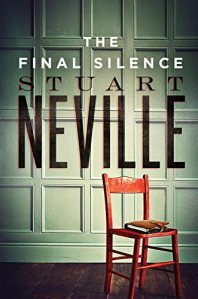 And the competition heats up further with the third entry, Stuart Neville‘s The Final Silence. Neville was unknown to me prior to this nomination, but I’ve come to learn that he is a popular Scottish crime fiction writer. His primary protagonist is Detective Inspector Jack Lennon of Belfast. In this outing, DI Lennon is just barely a DI. A widower, single parent to a traumatized daughter following the very-likely-Jack’s-fault murder of her mother, Jack’s addicted to painkillers and making a mess of his personal and his professional life. When Rea Carlisle, politician Graham Carlisle’s daughter, inherit’s her uncle’s home, she also inherits his secrets: Uncle Raymond was very likely a serial killer. Her abusive dad wants to burn the evidence, her cowed mother goes along with that plan, but Rea turns to an ex-boyfriend for help: Jack Lennon. Of course, by the time Jack meets Rea at the uncle’s home, someone’s broken in and lifted the book… and he wonders if it ever existed. She gives him an old photo of Uncle Raymond with Graham Carlisle and some others, which makes it clear that not only did Carlisle know his brother-in-law a great deal better than he let on, they both had been involved in some kind of paramilitary organization back in the day. “Find out if my father was even suspected of anything . . . bad,” she asks. Jack reluctantly agrees and heads out, slamming the stubborn front door three times to get the lock to catch. By morning, Rea is dead, bludgeoned to death by the very crowbar she used to pry open the locked door her uncle kept his secrets hidden behind. And Jack Lennon’s the primary suspect. Detective Chief Inspector Serena Flanagan is investigating. DCI Flanagan is smart and tough, with a strong sense of character judgment, a supportive spouse and two small children. She’s also challenged with a breast cancer diagnosis that she’s hiding from her husband. While eluding arrest, Lennon manages to use the one friend he has left on the force and a criminal who owes him a favor or two to unearth the truth about Graham Carlisle, his brother-in-law Raymond Drew, and the strange friendship Raymond had with his colleague at arms, a serial killer known as the Sparkle. Prodded by DCI Flanagan, he also manages to pull himself up out of the depths and give up the comfort of pills-and-booze and rescue his daughter from the clutches of his dead wife’s controlling relatives. So. Augh. Tough one. Here’s what’s compelling about The Final Silence: Great characters, heroes, villains, and victims alike. Lennon’s a flawed but good guy. Flanagan’s out-and-out awesome. Uncle Raymond’s pathetic. The Sparkle is compellingly twisted. And Rea Carlisle’s a victim, but she’s around till chapter 16, which gives us plenty of time to admire her and to gasp in shock when we read Neville’s first line in that chapter: It took hours for Rea Carlisle to die. Her parents leap off the page, real people. And the plot makes the book a page-turner. 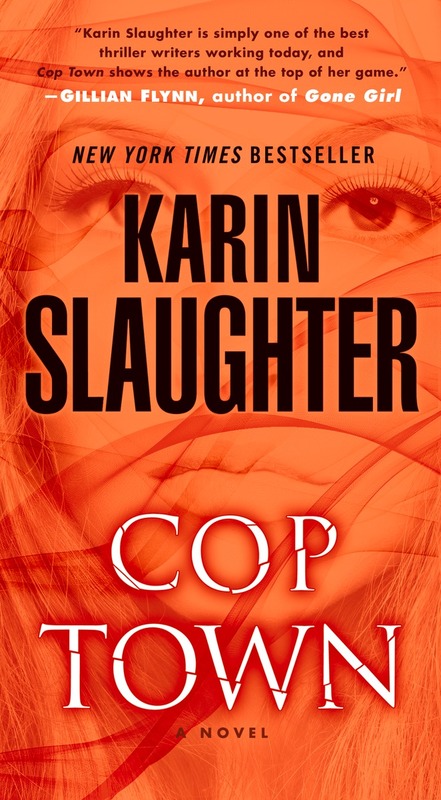 I grabbed another police procedural for my second book to read, review and rank for the Mystery Writers of America‘s Edgar award for Best Novel this year: Karin Slaughter’s Cop Town. Slaughter’s a well-established author, like Rankin, albeit a younger one. According to her website, she writes two series, although both are set in Georgia and feature overlapping characters. The book that’s up for an Edgar is a standalone. And what a standalone it is. Cop Town‘s set in 1974 Atlanta, and the protagonists are officers Maggie Lawson and Kate Murphy. For Maggie, Atlanta is truly a cop town – her brother, her uncle, in fact, most of the guys she knows and grew up with are all with the police. And in Atlanta in 1974, the police department is about as segregated as it gets. White rides with white, black with black, and when it comes to gender… man, no guy wants to ride with a woman. Maggie’s got the street smarts and the experience (mostly from her time with Gail Patterson, an experienced detective, who’s both profane and surprisingly tender). But at home, she’s chopped liver. Her mother dotes on her brother Jimmy while Maggie does everybody’s ironing and takes the back of her uncle Terry’s hand – and worse – whenever he’s angry with her. Enter Kate Murphy, her first day on the force. Kate’s blonde, beautiful, rich, Jewish and a widow. There’s no hiding the first two attributes, but she keeps the final three well-buried. She’s also smart, determined, and willing to learn. The world they’re living in: Somebody’s shooting cops, execution-style... and not from a distance. Somehow they’re getting up close and personal, getting the victim to call in for a break, unplug his radio, kneel on the ground and take a bullet to the brain. Only the most recent victim is a little different: It was Jimmy Lawson’s partner who was killed while Jimmy watched, horrified, just a few yards away. And Maggie and Kate are determined to find the killer. The job’s a tough one, because they not only have to piece together the clues, but they have to do so by crossing the color line (the barriers they have to overcome just to get to talk to a black pimp!) while all the male cops either shut them out or harass them. It takes them just four action-packed days. Needless to say, Cop Town‘s an out-and-out fantastic crime thriller. The pacing, the police work, the dialogue, plus the occasional sneak peek into the killer’s POV, keeps it moving right along. It’s a gritty book, too. The violence isn’t gratuitous, but Slaughter doesn’t shy away. Add in great, three-dimensional characters and even some character development – you know I’m going to love that. Then, throw in the fact that I was 19 in 1974… man, I can relate to Maggie and Kate. We were all trying to convince ourselves that we could do anything we wanted to do. Still, how does Cop Town stack up against Saints of the Shadow Bible? That’s a tough one. Saints is a superior Rebus novel, and I love Rebus. In Goodreads parlance, Saints is a five-star book for me, and so is Cop Town. But I’m going to have to give Cop Town the edge for originality. Slaughter’s told a tough story from a unique perspective and done it exceedingly well. At about this time last year, I read Ian Rankin’s Saints of the Shadow Bible for the first time. I actually started a blog post to review it, but had to move on, because the 2014 Edgar nominees had been announced. Now I’m back with an actual review, having read it twice, because it’s up for a 2015 Edgar for Best Novel. What goes around comes around! So it’s first up in the Lunchbox read, review, rank-fest. We’ve been through a lot with Rebus. He’s been at the top of his game. He’s been retired. He’s come back to work cold cases as a civilian. 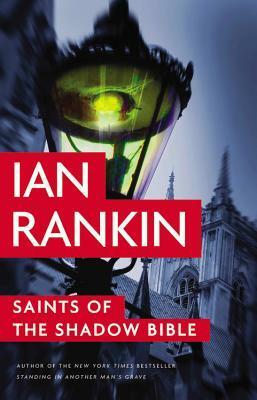 In Saints, Rebus is back in the CID as a Detective Sergeant, and his old colleague, Siobhan Clarke, is a Detective Inspector – in fact, his boss. Rebus, no longer top dog, is investigating a questionable car wreck. Was Jessica Traynor truly driving alone on that lonely road where her car crashed, or was someone else driving – say, her boyfriend, Forbes McCuskey? That Jessica is the daughter of a well-known baddie, while McCuskey’s the son of a politician makes it all the more enticing. Meanwhile, Fox is investigating a 30-year-old case, and has strong suspicions that Rebus’ old crowd (well-known for rough treatment, cutting corners, and even the occasional evidence-plant) was responsible for the death of a criminal and the subsequent cover-up. Thirty years is a long time, and the Saints of the Shadow Bible, as the crew called themselves, have moved on. Rebus, the youngest and least trusted of the Saints back in the day, is still on the job. Others have retired, one is dead, one’s at death’s door, and one – Stefan Gilmour – took a fall and left the force early on. Gilmour, now a successful business man and active in Scots politics, has the most to lose. Malcolm Fox is out to team up with John Rebus, to use him to get information about the Saints, counting on John’s basic decency. In Saints of the Shadow Bible, Rebus has to come down on one side or the other – loyalty to his former friends and colleagues, or the truth. And when a 30-year-old crime results in a present-day murder, Rebus can no longer look away. There are some impressive titles nominated this year, but Saints will be a tough one to beat – this is Rankin’s fourth nomination of a Rebus book for Best Novel, and he won in 2004 for Resurrection Men (a fabulous book). The third nominee for the Mystery Writers of America Edgar for Best Novel is, like Thomas H. Cook, no newcomer to the awards scene. 1998 brought a nomination of Black and Blue, an Inspector Rebus novel (didn’t win), but Rebus brought home the Edgar for him in 2004 for Resurrection Men. 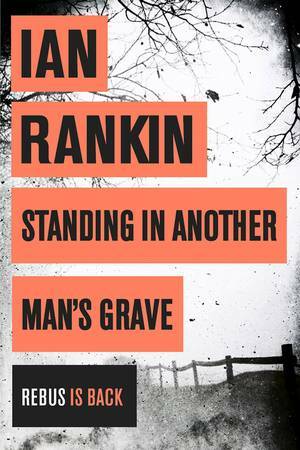 Now author Ian Rankin up again, this time for Standing in Another Man’s Grave. I’ve been a Rebus fan since I discovered him in the early books, when he was a mid-career detective with a young daughter and an estranged wife, smoking too much, drinking too much, and spending way too much time on the job. It’s 25 years later, and Rebus is retired but can’t leave the life behind – still working on the job, now as a civilian. As always, Rebus does things his own way… as always, he wreaks havoc for himself and others…. and, as always, he gets results. I reviewed the book when it first came out, you can read that review here. Big thumbs up from me then. On re-reading for the Edgars, my experience was just as positive, and I had the chance to revisit some of the reasons why. The book’s plot is satisfyingly twisty, with a resolution most readers won’t see coming. In addition to the suspense generated by the mystery itself, there is plenty of character-driven tension as well, as Rebus walks too close to the line for Internal Affairs officer Malcolm Fox. Introduced as the protagonist in Rankin’s The Complaints, Fox couldn’t be more opposite to – or more suspicious of – John Rebus. Fox is out to prove Rebus is dirty, but he’s got a softer spot for Rebus’ old pal Siobhan Clarke. Both men hope that her relationship with Rebus won’t derail her successful career. Plus, there’s an interesting side plot focusing on Rebus’ nemesis/frenemy, Big Ger Cafferty. Cafferty may be sidelined, but he’s still active behind the scenes and it’s fun to see him out-maneuvered for once. It’s a solid book in the series and ranks, in my eyes, about as high as Edgar-winning Resurrection Men. Comparing Standing to Sandrine is challenging, as they are so different in type. In many ways, Cook is attempting a deeper, more nuanced novel, but he doesn’t completely pull it off. Standing in Another Man’s Grave is a classic police procedural, perfectly presented. Therefore, Rankin ranks higher. John Rebus, the prickly maverick hero of Ian Rankin‘s popular police procedurals, is back. He’s getting up in age, wheezes a bit halfway up a staircase, but couldn’t handle retirement. In Standing in Another Man’s Grave, Rebus is a civilian employee investigating cold cases. But he has all his marbles, all his old tricks and all his old chums, including DI Siobhan Clarke and frenemy Gerry McCafferty. And thank heavens for that. The rough cop with the tender heart may be a cliche, but in Rankin’s rendering, it doesn’t feel like one. No wonder his 2004 Rebus novel, Resurrection Men, won the Mystery Writers of America Edgar Award for Best Novel. Here’s the set-up: Annette McKie, a 15-year-old girl from a crime-connected family, has disappeared. She was last seen in a gas station off the highway, where she’d gotten off a bus to use the restroom. Rebus isn’t investigating that crime, of course, as his unit’s focus is on cold cases. But the publicity surrounding Annette’s disappearance spurs a visit by Nina Hazlett, whose daughter Sally disappeared under similar circumstances in 1999. Rebus takes a close look, turning up evidence that there is a series of missing girls. The new case and the old cases are merged, and Rebus is in the uncomfortable situation of being simultaneously the most experienced and knowledgable detective in the group and the one with the lowest standing. How he plows ahead to solve the crimes through sheer will, insight, and manipulation is a joy to read. 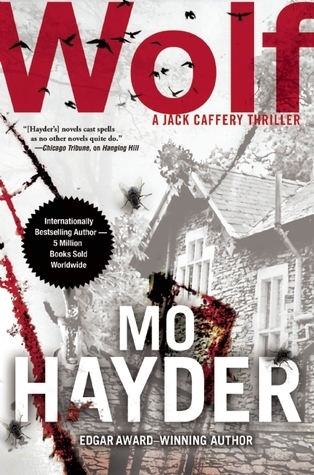 As usual, the plot is knotty, the characters are complex, and Rebus treads a fine line, bending the rules but not breaking them. He has a finely honed personal integrity. My only reservation about the book is the insertion of Malcolm Fox, the protagonist of Rankin’s new series about a “complaints” (think Internal Affairs) investigator, into the plot. I have previously reviewed the new series, and thought that although it was not spot on, it was getting good. In the current book, I felt that Fox is not fully fleshed out, and that his staunch belief through most of the book that Rebus’ style is inherently corrupt and that Rebus himself must be driven from the force, feels forced. At the end of Standing in Another Man’s Grave, Rebus has put in for reinstatement into the CID – assuming he can pass the physical – and there is pretty heavy foreshadowing that Rankin plans continued Fox:Rebus clashes. If he can make Fox a match for Rebus – which I doubt – I say, bring it on. In the interests of full disclosure, I must say: I love Detective Inspector John Rebus. Rebus is gritty and flawed, but still engaging and crush-worthy. His daughter. Siobhan (OMG, when she was in the airplane with the bad guy!). His frenemy, Big Ger Cafferty. I even bought the DVD from BBC America (at least the first one, with John Hannah as Rebus.) Oh, the accents! So when Ian Rankin wrote the final Rebus novel, I was none too thrilled. Malcolm Fox is the protagonist in the new series, an inspector in the complaints bureau (think internal affairs). Fox was introduced in the crime novel, The Complaints, which I thought was a good read. Malcolm is single (of course), is not too well-liked because of the nature of his job, and has a bossy sister and a father on the edge of Alzheimer’s in a nursing home. I enjoyed the first book in the series, but didn’t hold my breath waiting for the next one. And now the next one’s out. 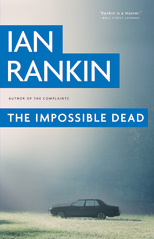 Ian Rankin’s The Impossible Dead features a plot that begins with an allegation of sexual harassment but soon turns into something darker and murkier. Fox and his colleagues are drawn in, and although some would prefer to take things at face value, Fox can’t leave it alone. He teams up with Evelyn Mills, a “complaints” type officer from the next town over with whom he has a romantic past (and perhaps future?) to plumb deeper. The second Fox book moves the series along and makes me more interested in reading more about Fox. Part of what makes a series engaging is the continued growth of – and the reader’s continuing quest to learn more, to get closer to – the protagonist. It was true of Rebus, also V.I. Warshawski, Matthew Scudder, Kinsey Milhone, Inspector Morse, Kathy Mallory, and many more. Even Jack Reacher, as hard as it is to obtain insight, teases us with the promise of more. While I didn’t find The Impossible Dead to be a “pulse-pounding thriller” (as blurbed online by the publisher) I did find it to be a solid read with the lure of more good stuff to come. Ian Rankin’s new series is getting there.